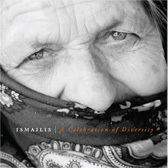 Ismailis | A Celebration of Diversity, a brainchild of Ashifa Asaria-Lalani and a group of other supporters, is a hard cover coffee table book that captures the beauty and diversity of Ismaili Muslims around the world. Most of the images in this book are entries from an International Ismaili Photography Competition. More than 1,200 entries were received from all over the globe and a few were selected for inclusion in the book. Proceeds from the book are being donated to the Aga Khan Development Network. Purchase your copy of the book at www.ismglobalphotos.com. The Shia Ismaili Muslims are a community of ethnically and culturally diverse peoples living in over 25 countries around the world, united in their allegiance to His Highness Prince Karim Aga Khan as the 49th hereditary spiritual leader and direct descendant of Prophet Muhammad.